The spate of car arsons in Sweden has reached unmatched proportions, peaking at thousands of burned out vehicles this year alone. As car fires have become part and parcel of living in a Swedish urban area, massive insurance fraud is suspected. Not a single day goes by in Sweden without more cars getting burned down. With car arsons in the Nordic country's burgeoning "no-go zones" repeatedly making domestic headlines, insurance companies suspect a massive swindle in order to capitalize on insurance money. Between January and September 2017, over 6,000 cars have been burned, amounting to about 21 vehicles every day. Larmtjänst, a joint organization of Swedish insurance companies, took a closer glance at 325 cases, roughly 5 percent of the total number of arsons. ​"We believe that many of the car fires that occur in vulnerable areas actually constitute fraud, so we would like to investigate," Larmtjänst CEO Mats Galenius told Swedish national broadcaster SVT. According to Galenius, this conclusion may be drawn after examining, among other things, a car's repairs and inspection history. As a result of the survey, 177 cases of fraud were suspected, which is more than half of the cases surveyed. The most likely scenario is that people experiencing financial difficulties pay someone to burn their vehicle in order to claim insurance compensation. The police, however, would rather not comment on these suspicions. The police authority has a higher burden of proof compared with insurance companies, and in the case of car arsons most of the evidence literally gets burned. Statistics from Sweden's Civil Contingencies Agency (MSB) have witnessed a steep upward spiral in car arsons. In 1998, only 380 cases were recorded nationwide. In 2005, the figure rose to 969 and climbed further up to 1,428 in 2015. "Car arsons are overrepresented in vulnerable parts of metropolitan areas," Stefan Anering of the Fire and Accident Prevention Unit at MSB told Dagens Nyheter. Eva Andersson, a professor of cultural geography at Stockholm University argued that the arson epidemic is not triggered by an individual event or phenomenon, but rather reflect the inhabitants' general frustration and dissatisfaction. While car arsons have become a perennial hazard persistent in areas other than ghettos officially labeled as "vulnerable areas," insurance companies have issued numerous tips on how to prevent a car from being torched or at least be able to claim compensation in full. ​"Honest to say, it's very difficult. Cars get torched even in garages, so it's hard to give advice," Dan Falconer of the insurance company If told Swedish Radio, venturing that leaving the car in a well-lit place is no miracle cure either. According to Stefan Brala of the insurance company Trygg-Hansa, several factors are considered when calculating the amount of an insurance premium, including the brand of the car, the place of residence, the owner's age and the extent of damages. Earlier this year, a dismal police report suggested that at least 5,000 criminals and 200 criminal networks were lurking in the country's 61 "exclusion areas." 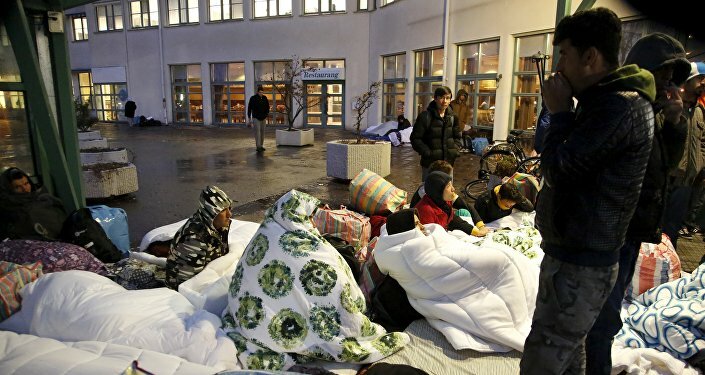 ​Most recently, the Conservatives proposed to enable the military to assist the police in crime-fighting to prevent Swedish urban areas from slipping into total lawlessness. However, the proposal was given the thumbs-down by the Swedish "red-green" government. Social Democratic Justice Minister Morgan Johansson argued that there was no military solution for integration problems.